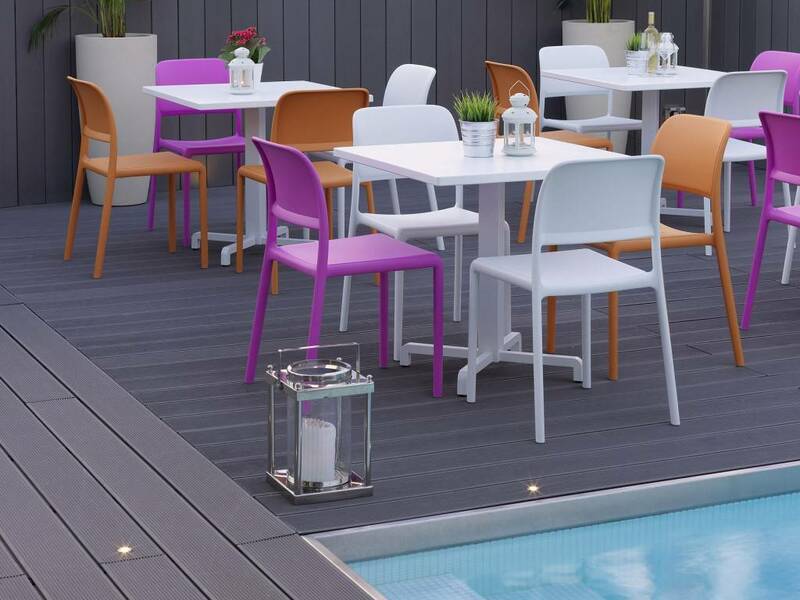 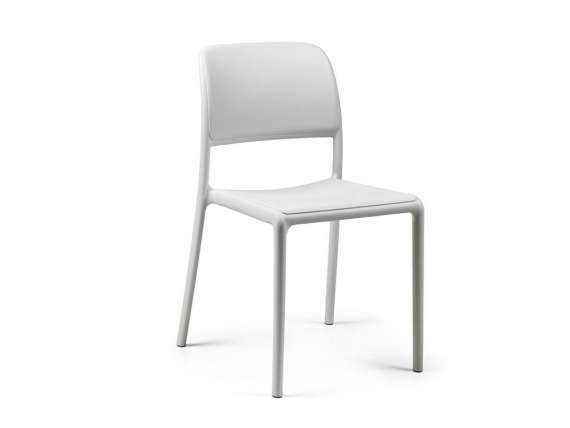 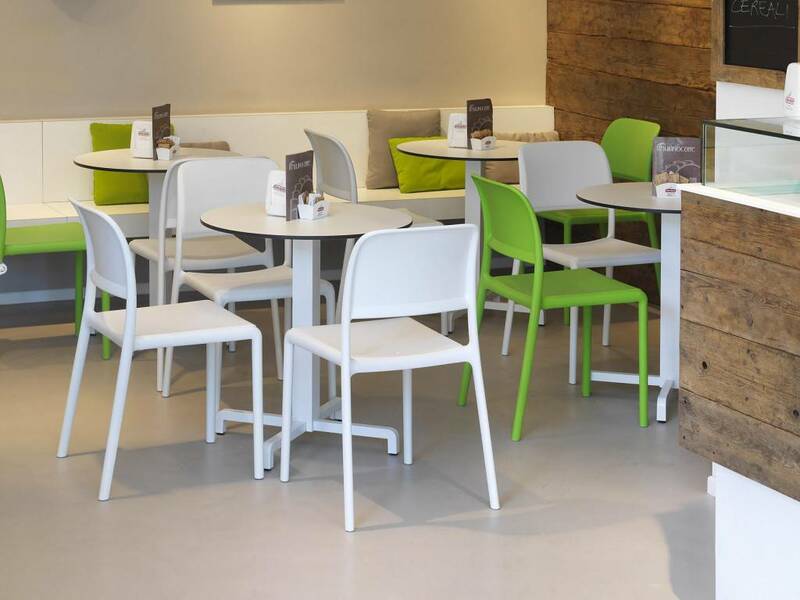 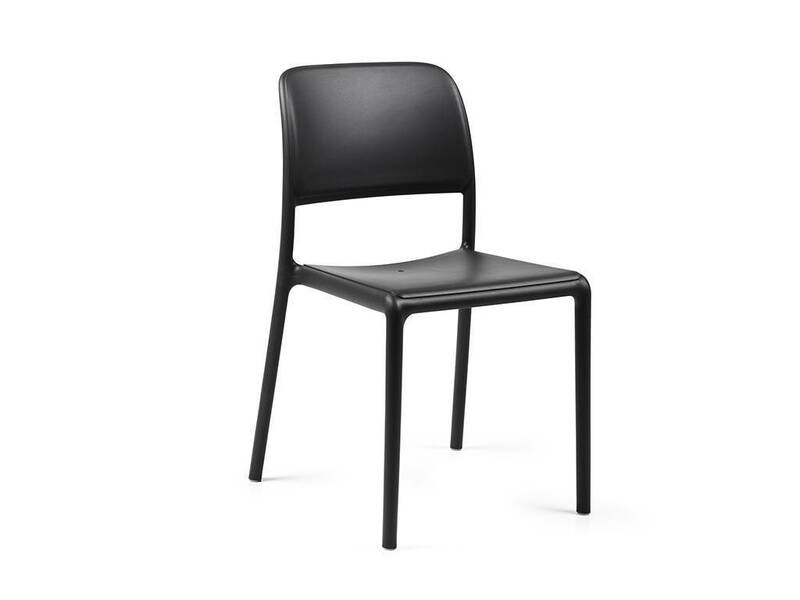 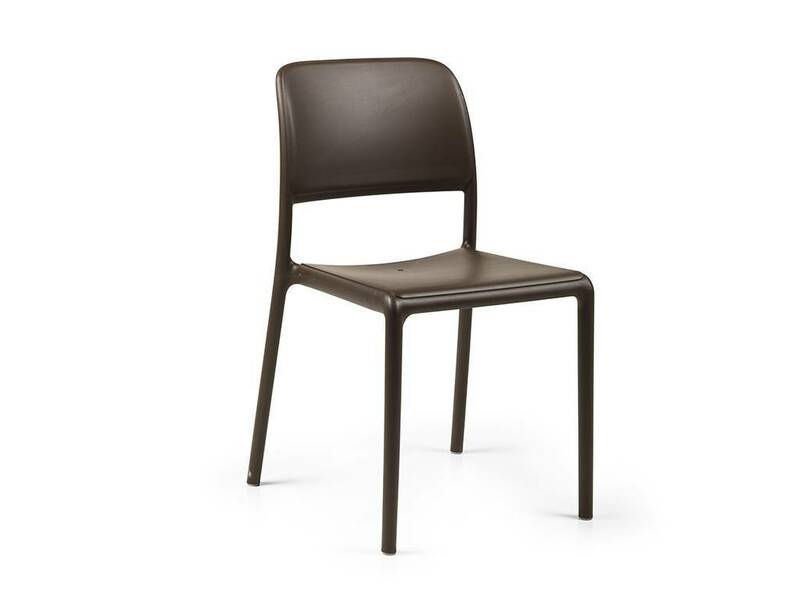 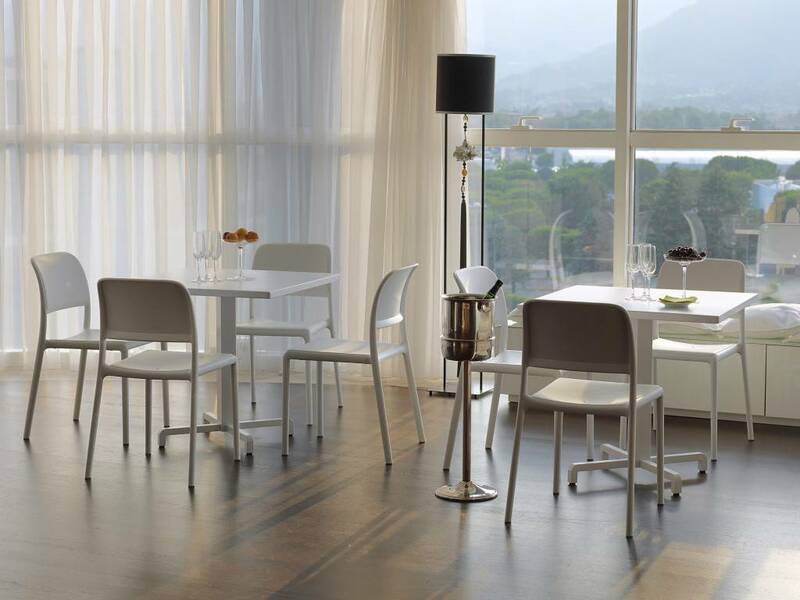 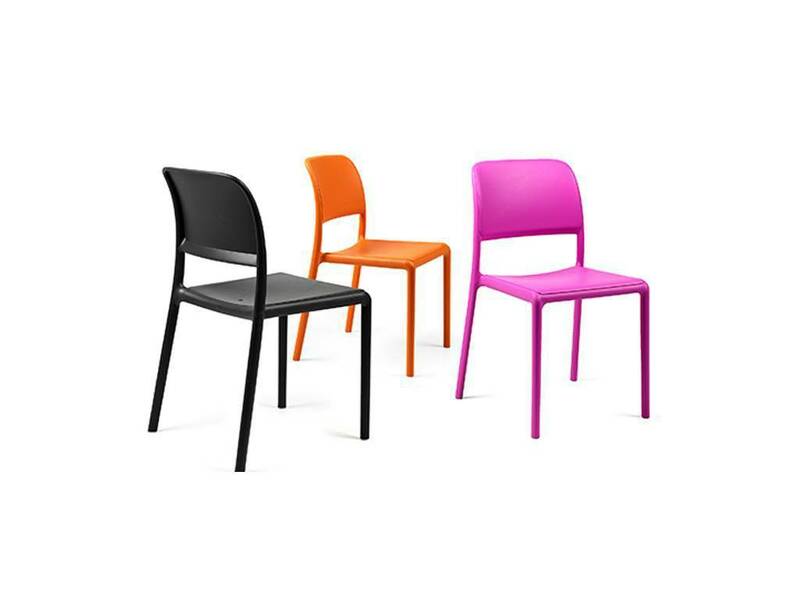 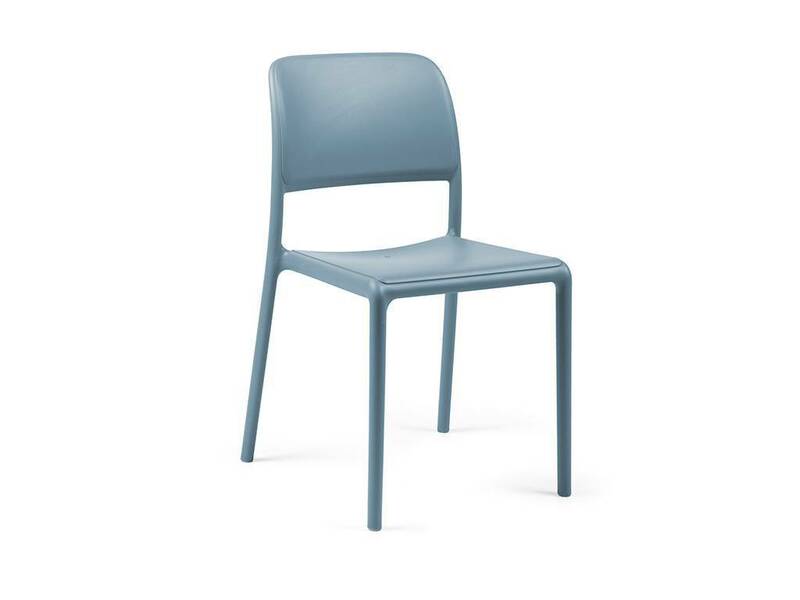 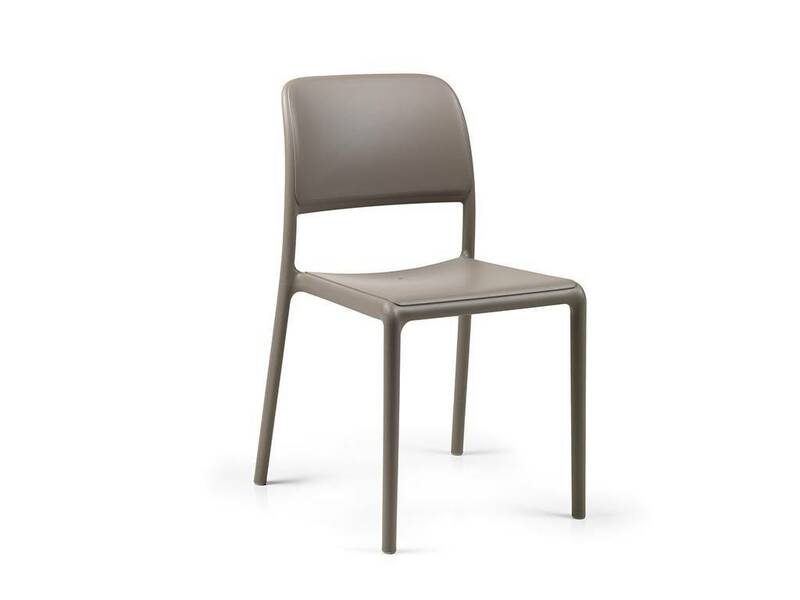 Monobloc and stackable Seat, in resin of first quality with fibre glass, provided of small non-slip foots. Finishing OPACA. 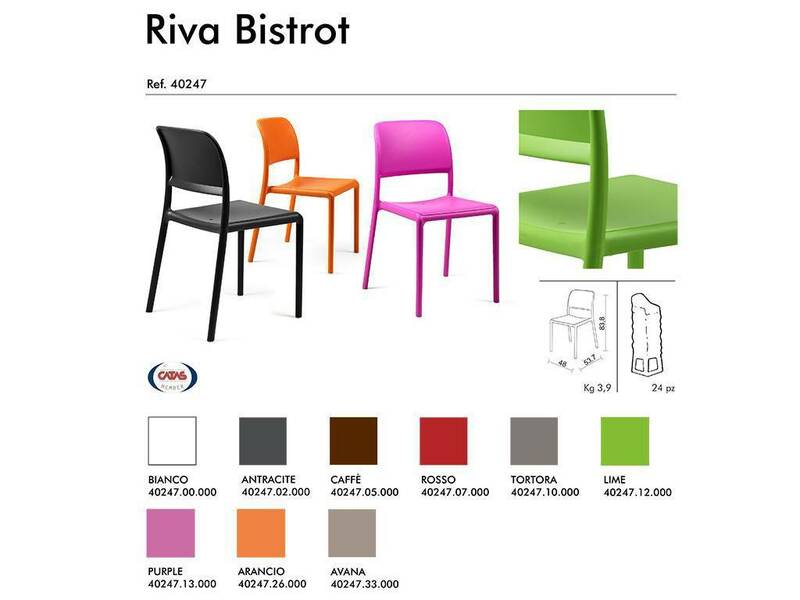 Colors: White, Anthracite, Coffe, Red, Dove-grey, Pale blue.